A slick, professional production from this fledgling independent theatre company, showcasing the talents of their three show choirs and individual soloists. On Saturday evening at the Lost Theatre on Wandsworth Road, the company from Starling Arts performed a sell-out show to an adoring audience, showcasing the considerable creative talents of co-directors Anna Shields and Emliy Cook. Even for the many family members and friends in the audience for whom musicals were not a passion, Flight could not fail to entertain. 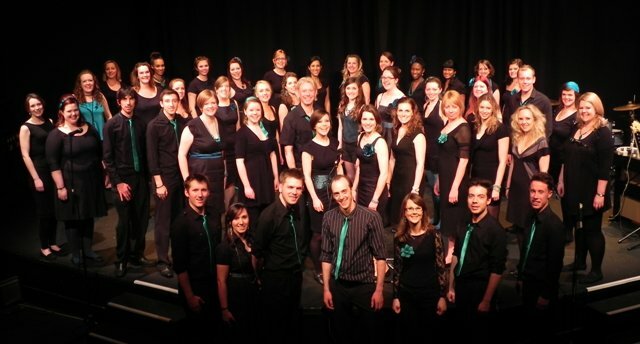 From big choreographed pop numbers such as ‘Let Me Entertain You’ and ‘Forget You’ from the Starling Singers to a thoughtful solo of Jason Robert Brown’s ‘Someone to Fall Back On’ from Daniel Garsin, the pace was maintained throughout with variety and innovation in both song choice and staging. All-female choir Corvida impressed with a tongue-in-cheek version of ‘Don’t Tell Mama’, and a beautiful acapella version of ‘Time After Time’. The acapella continued with a gorgeous arrangement of ‘Somewhere Over the Rainbow’ from Forte, who also finished the second half with a musical theatre epic in the form of a medley from Wicked. By the time of the finale, ‘Anything Can Happen’ from Stiles & Drewe’s Mary Poppins, there was a perceptible buzz in the air for audience and cast alike. On the basis of this performance, nothing can be predicted but greater success for Starling Arts in the foreseeable future. It is clear that those in the stalls and on the stage are having a fantastic time with the company. After such high demand for tickets for Flight it is likely that the next show, planned for Christmas 2011, will extend to two performances in order to satisfy demand. I, for one, can’t wait to see what they come up with next. 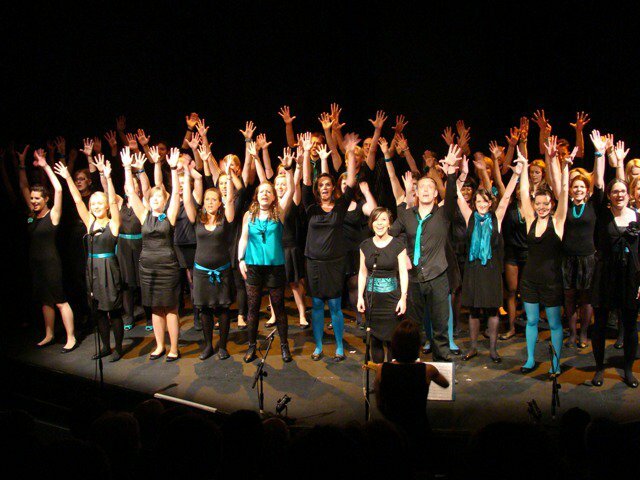 If you are interested in finding out more about Starling Arts or joining one of their 3 choirs, please see contact details on their website. At the End of the Day – Starling Singers, Beggin’ – Corvida, Always a Bridesmaid – Helena Williams, Forget You – Starling Singers, The Bus to Amarillo – Alice Birch, Over the Rainbow – Forte, Don’t Tell Mama – Corvida, Someone To Fall Back On – Daniel Garsin, The Song of Purple Summer – Starling Singers Anything Can Happen – Company.